Hit refresh on your weekend wardrobe with this must-have midi dress. 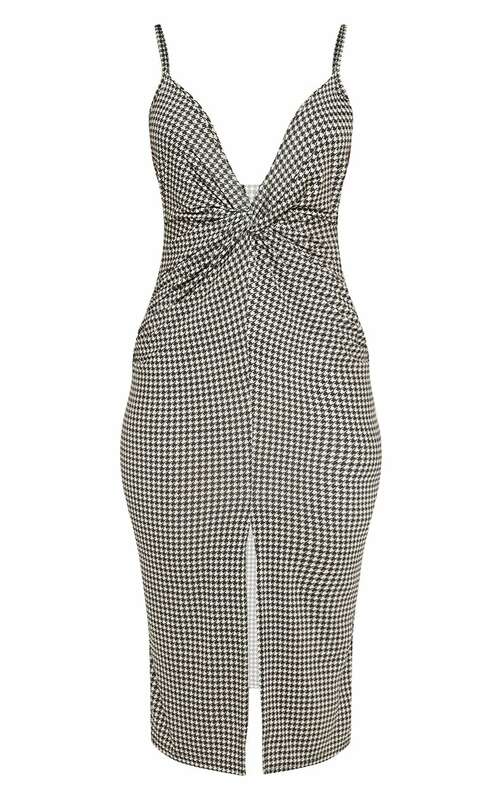 Featuring a tan dogtooth fabric with a plunging neckline, split leg and midi length, what's not to love? Style with barely there heels and complete this killer look with layered necklaces.